Taking inspiration from the mythos that surrounds the Orc warrior, the Choppa LARP Sword features a hammered blade fashioned from the spoils of war. Unleash your ever-burning rage upon your enemies with the aid of this foam sword. 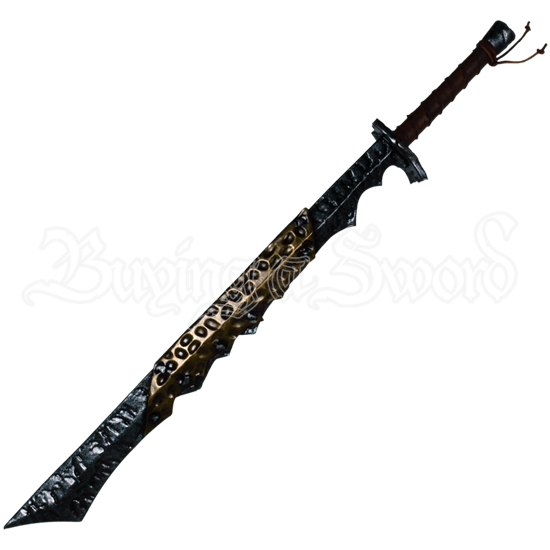 The blade possesses a silver and antique gold finish, a welded blend of enemy weaponry. Jagged wood forms the crossguard. Top-grain leather wrapping covers the hilt. Like many of our LARP weapons, the Choppa Sword is made from durable foam that does not shred and is sealed with a strong coating of latex. Safety is always an issue in LARP, and that is why this sword has a round, flexible fiberglass core with strong Kevlar core tip protection. 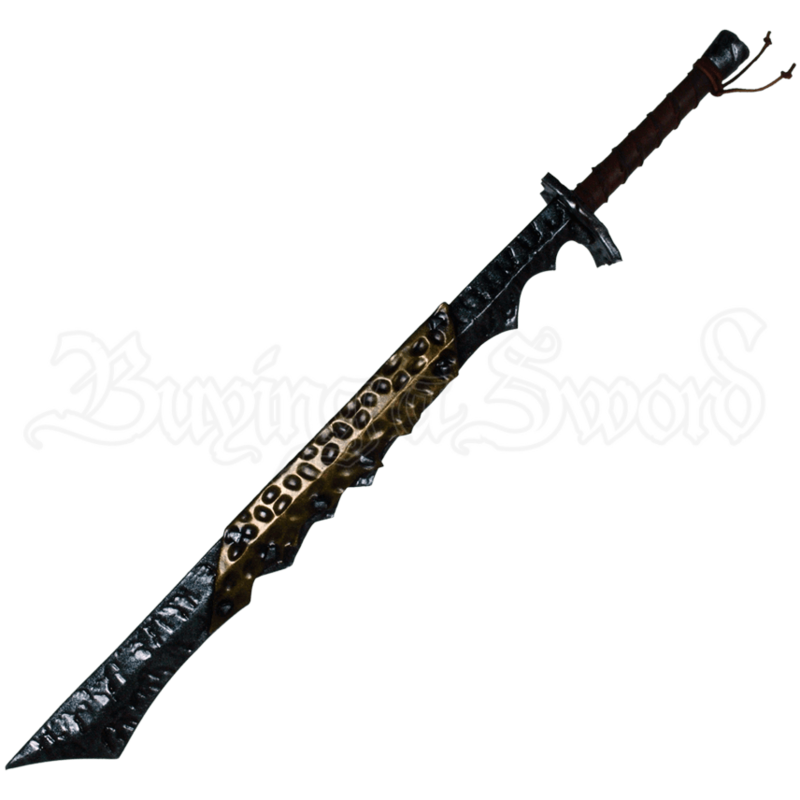 The sword is approximately 43 inches in overall length. Measurements will vary slightly as these are handmade items. Detailed specifications are posted under the Measurements tab.